Camping allows you to feel closer to nature than you ever have done, as you will use your skills, creativity and instincts to survive in the great outdoors. However, if you fail to prepare for an adventure, you may remember the trip for all the wrong reasons. 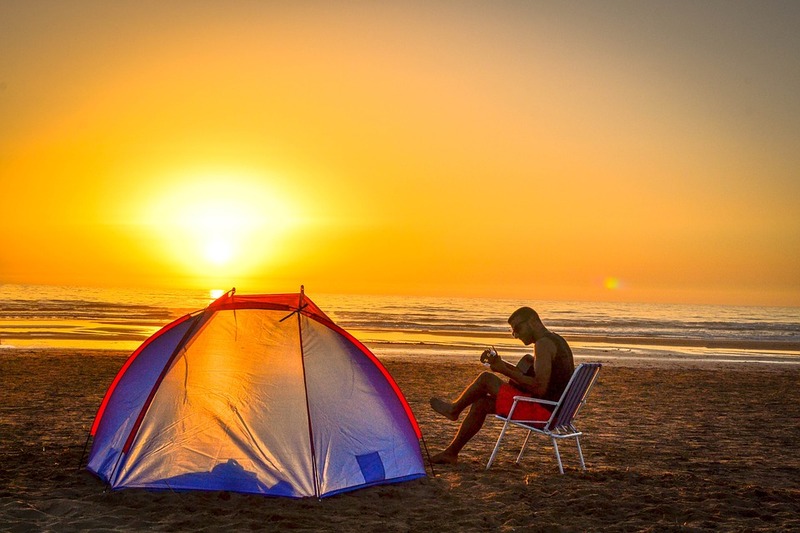 Read our 14 essential tips to read before a camping trip. Whether you have recently bought camping equipment, are pulling it out of storage, or hiring it from a campsite, ensure you check all your gear before a trip. Set it up at home to ensure it is in working order, and it has all the necessary pegs and poles. While no-one wants to discover their equipment is faulty or is missing important items, you would rather find out at home than at a campsite. Different campsites may have different dangers you must be aware of before you head off on an outdoor adventure. Research each campsite to identify any risks it may pose to yours or a loved one’s health. For instance, are there dangerous animals, insects or poisonous plants onsite? It could be a deciding factor when booking a campsite. Inform your friends or family about where you are camping and when you will return home. If you fail to come home, providing these details ensures that somebody can telephone the emergency services and they can send a search party if necessary. Also, if you plan to go on a hiking trip, try to contact a loved one to tell them of your plans, if possible, and use a reputable guide or tour company. It is always a smart idea to pack for various weather conditions to protect yourself from the elements. However, you don’t have to pack too much. For instance, avoid packing three rain jackets when one will suffice, which will also reduce the size of your camping gear. Cave dwellers might have struggled in the dark, but you don’t have to. Instead of relying on the moon or a fire to guide your way in the dark, take camp lighting with you to improve your campsite safety. Pack a flashlight, headlamp or rope lights to make your way from A to B easily. The little things can make a big difference for an outdoor adventure. For instance, baby wipes and sanitizers can be an effective way to freshen up. While a corkscrew or bottle opener will be a handy tool when enjoying a drink around a campfire, it is not as important as toilet roll. Create a checklist of all the items you will need, big or small, before you hit the road. Pitching a tent is bound to be difficult at night, and it could expose you to harsh weather conditions. Always aim to have your tent up before nightfall, so you are not forced to endure the cold, rain or harsh wind. Campsite safety should be a priority when pitching a tent. Try to find a spot on flat ground and avoid sleeping under trees. If you have no choice but to sleep beneath the stars, look at the trees to spot any rotting branches or falling objects. Don’t forget to remove any rocks or sticks before putting up a tent so that you can enjoy a comfortable night’s sleep. One big camping tip that you shouldn’t ignore is to find a spot that’s away from a waterway. Never assemble a tent near a trench, river path or creek bed, because it may potentially fill with water following heavy rainfall, which could flood your tent and ruin a camping trip. Every responsible adult understands the importance of fire safety. However, it’s easy to make mistakes during a camping trip. Bear in mind the importance of building a campfire as far away as possible from trees or root systems that can catch fire. You must also be aware of any local fire regulations, and we suggest having a bucket of water available should the worst happen. Never leave a fire unattended and always cover any dying ashes or embers with either a heavy layer of sand or dirt. Remember, the fire will not be completely extinguished until you can sift the ashes through your fingers. Don’t encourage nocturnal animals to visit your tent by placing any food containers, coolers or lose items outside of the area. Ensure that you can sleep soundly in your bed at night by protecting yourself from unexpected animals. Never run out of food by packing non-perishable items with you, which you can enjoy on a hiking trip or if your cooler stops working. Non-perishable items include everything from tinned goods to granola bars, peanut butter, beef jerky, dried fruit and popcorn. There are many great dishes you can create during a camping trip, from delicious s’mores to one-pot meals. To create a meal all the camp will love, look at the many cast iron Dutch oven recipes that are available online, which will linger on your taste-buds long after the experience is over. A wet tent can cause mildew to damage the equipment, and it can also result in a musty aroma that will be less than pleasant on your next camping trip. As your experience is coming to an end, try to dry your tent before packing it away. If it is not possible to dry the tent before you leave, pack it and dry it out as soon as you get home to make sure it doesn’t develop mould. We also suggest drying any pegs and poles to avoid rust, too. You can then store the camping gear away until your next trip.